Brand Mantra: To provide natural beauty products and cosmetics inspired by the region of Provence in France. Extremely committed to the idea of sustainable development, it aims to preserve and pass on the best of nature. What’s More? At the store which resonates with sights and smells from the South of France, it is believed that the best way to make customers experience the products is through demonstrations. 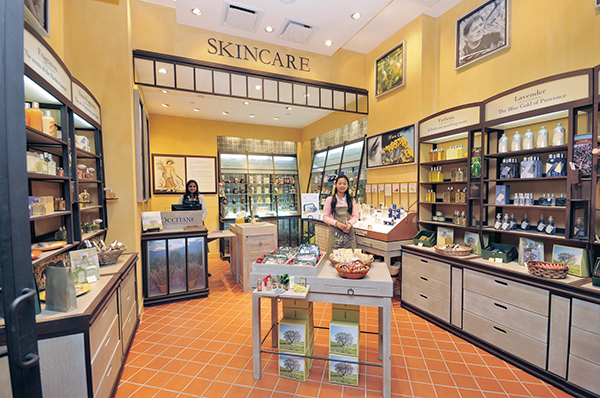 Customers are encouraged to take appointments with the beauty advisors who conduct a thorough analysis of their skin type, address concerns and suggest changes. In a bid to showcase their bestselling hand creams, beauty assistants indulge the customers with Express Hand Massages that ease away the tension and at the same time help them experience the newly launched hand creams. The hand creams here have attained an iconic status, with one item being sold every three seconds in the world.